A New Year can often be the time when we choose to make a new start, and one increasingly popular option for people looking to reorganise their home environment is downsizing. 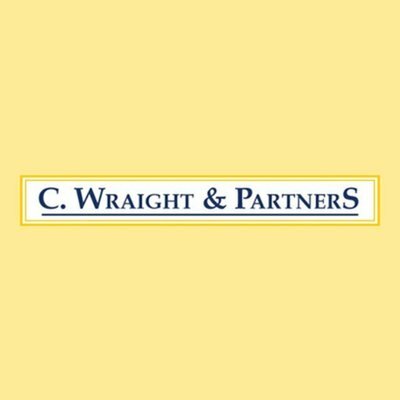 At C. Wraight & Partners, we have seen a significant increase in the number of clients who want to downsize in recent years. We know from our decades of experience in domestic removals that making the decision to downsize can be difficult, as it is natural to become emotionally attached to our homes, our possessions and the area in which we live, and leaving those things can be a wrench. Sometimes, downsizing can be the result of a major upheaval such as a divorce, the loss of a loved one, or the need for children to be nearer their parents to look after them in their later years. Moving home in such circumstances can be an emotional strain and at C. Wraight & Partners, we always take care to handle such moves with empathy and kindness. We never forget that at the heart of every move there are real people with individual stories, and as an experienced Kent removals company, we have learned the importance of putting our client at the centre of everything we do. Of course, as well as being an emotional experience, moving home to downsize can also be an opportunity to make a fresh start. It can be a good chance to declutter (for more info, please read our article about decluttering your home) or to set up in a new place that is easier to maintain, perhaps with a smaller garden or fewer rooms to look after, leaving you with more leisure time to spend with your family or on your hobbies. In the 71 years that we have been helping people move home in Kent and the south east, we have dealt with every type of downsizing scenario, and we pride ourselves on providing a moving service that is tailored to your individual requirements. A vital part of our service is the home visit, where we can sit down with you to gather important details and discuss how well your new property will be able to accommodate your furniture and effects. Our experience of working alongside Canterbury Auction Galleries also enables us to advise clients on the auction process. We can arrange for an experienced valuer to carry out a home visit to estimate the current auction value of any item of furniture, which can not only give an indication of the financial potential of your possessions but can also mark the start of the decluttering process. And to dispose of any unsaleable furniture or effects, we can recommend a reliable house cleaner. It is natural to be reluctant to part with beloved items of furniture or effects, but we know from long experience that trying to declutter after the move rather than before is a stressful business! As highly trained and experienced removals experts, our staff are able to offer advice on every aspect of a downsizing move, in order to ensure that the process runs smoothly. For instance, we often advise clients who are downsizing to obtain a full floor plan for their new property and then to measure their larger items of furniture to ensure that they will fit into their destined rooms. We all have different reasons for downsizing, and at C. Wraight & Partners we will provide you with a service that is professional and personal, tailored to your precise needs. Our focus is not just on safeguarding your valuable furniture and personal effects throughout the downsizing process, we also strive to provide a caring and sympathetic service for you and your family. Our aim is to help you set up quickly in your new property with all your large items of furniture in place, and all your boxes and personal effects in the correct rooms, with your beds set up so that you can enjoy a well-earned first night’s sleep in your new home. So if you are planning to downsize, get in touch with C. Wraight & Partners for a free quotation or free advice, and find out how we can help your downsizing move to run smoothly.